1. MIT does not offer a site license of EndNote. You can purchase and download EndNote from their website; students discounts are available. 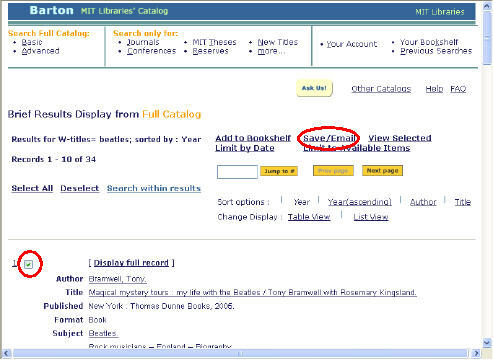 EndNote is available online for free to MIT users through Web of Science. From Web of Science, click the EndNote link at the top of the screen. Note, the online version has more limited functionality than the Desktop version. 2. Import citations into EndNote by exporting them from a database or by using a connection file. 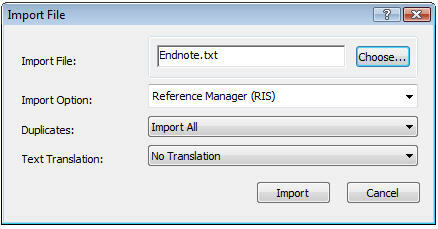 Export options will vary by database so look for an Export option and EndNote or .ris format. Connection files allow EndNote to search and import references from within EndNote. They only work with selected databases. In the Choose a Connection box, select a database and click on Choose. This will display a search form for that database. Do a search. Highlight a citation. Right-click on it and select Add References To and add it to a group. 3. When writing your paper in Word, use the EndNote tab to insert citations and a bibliography. Search in Barton for the books/journals/conferences you want to export. Click the check boxes to select them from the results list and click “Save/Email” (see below). 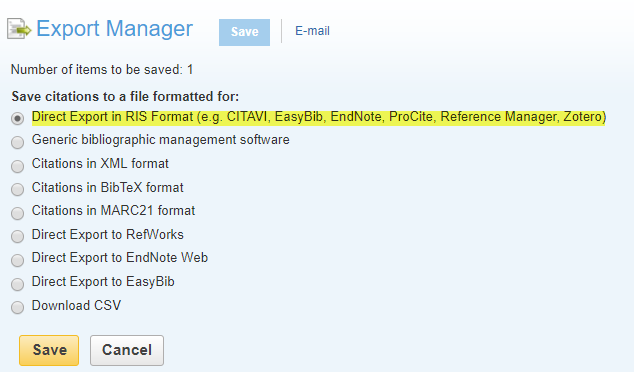 Change the record format to “EndNote” and click “Send” (without entering your email address). From the File menu, choose Save As or Save Page As. Save the document as a text file, with the .txt extension. Open EndNote, then open the library that you want to import into. Click “Choose File…” to browse your hard drive and locate the file of references that you just saved. Click Import. The references brought in from the file will be listed. 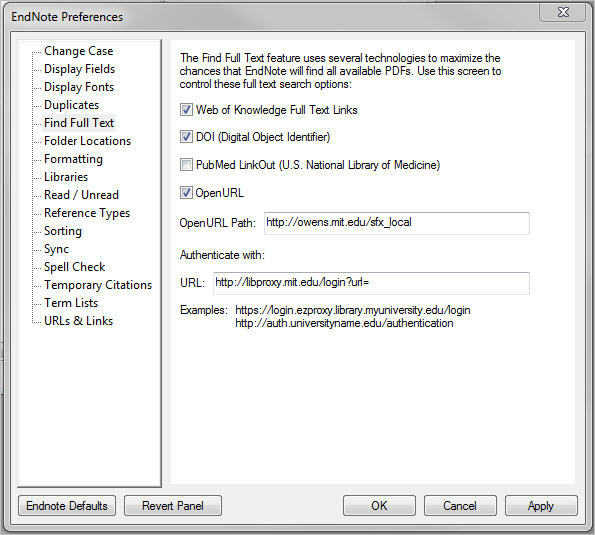 Inside EndNote, go to the Tools menu and highlight Online Search. If MIT is an option in the sub-menu, select it. If MIT is not an option, select “Connect…,” find MIT in the list that pops up, and click Connect. 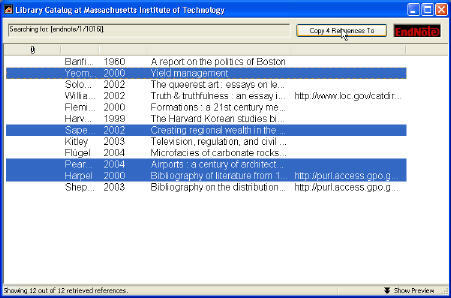 Using the search box that appears, perform a search of the MIT catalog. Retrieve as many references as you want from the confirmation box that appears. These references are retrieved and listed in a separate window. Select the references that you want to import into your library, right click and select "copy references to" and choose the library where you want the references to go. Contact EndNote through their web site, or call (800) 336-4474, ext. 4, 8 AM to 5 PM Pacific, Monday through Friday. If you have questions about using EndNote in conjunction with library-supported databases, please use Ask Us!